The Rebel God: My book Healing the Gospel is now on Amazon! My book Healing the Gospel is now on Amazon! Why did Jesus have to die? Was it to appease a wrathful God's demand for punishment? Does that mean Jesus died to save us from God? How could someone ever truly love or trust a God like that? How can that ever be called "Good News"? It's questions like these that make so many people want to have nothing to do with Christianity. 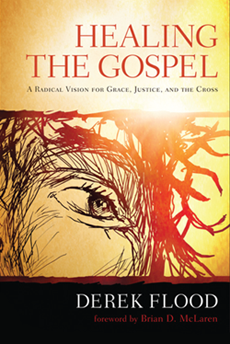 Healing the Gospel challenges the assumption that the Christian understanding of justice is rooted in a demand for violent punishment, and instead offers a radically different understanding of the gospel based on God's restorative justice. Connecting our own experiences of faith with the New Testament narrative, author Derek Flood shows us an understanding of the cross that not only reveals God's heart of grace, but also models our own way of Christ-like love. It's a vision of the gospel that exposes violence, rather than supporting it--a gospel rooted in love of enemies, rather than retribution. The result is a nonviolent understanding of the atonement that is not only thoroughly biblical, but will help people struggling with their faith to encounter grace. As those of you who have been following my blog for a while know, this book has been in the works for a long time, and this blog has chronicled that process. So I am thrilled that it's finally available! It will certainly ruffle some feathers, as it takes on penal substitution as not only unbiblical, but also deeply harmful. But my hope is that it will be a vehicle of healing to those whose faith has been damaged by that hurtful understanding of God, and in some small way open up a way for folks to recognize and experience the truly good news of God's amazing grace and love! I've gotten a lot of help and encouragement from others along the way. Brian McLaren, who wrote the foreword to the book, has been really supportive of the project from the get go. Michael Gorman gave his careful scholarly eye to the manuscript, offering lots of exacting challenges that were invaluable in sharpening the biblical arguments. And I've gotten lots of encouragement from many wonderful folks (see the endorsements section on Amazon for details). So go get yourself a copy, and let me know what you think--both here on the blog and on the reviews at Amazon! UPDATE: Get the book shipped right away! Because the book is selling so well on Amazon, there's currently a delay on shipping times there. Wouldn't you like to get it shipped right away? Of course you would, and you can! You can get a brand new version on Amazon shipped right away if you order it from the Windowsbooks seller. They are the official reseller of my publisher, so you can be sure the quality is perfect, and you have the Amazon guarantee too! Heck, they even do international orders. UPDATE: Get Kindle and read it without the wait! In addition to the paperback version, you can also now get the book instantly on Kindle. Also you will find the search inside the book feature there if you wanted to browse through it a bit (I always like to do that). Thanks, Andrew! Yes, of course I remember. You are also involved evangelical universalist forums, right? Danke! Yes, I think it will take awhile to propagate across all of Amazon. If you don't want to wait, you could probably order it internationally from Wipf & Stock (there is a link to the book there in my post above). Derek, Congratulations on the book! 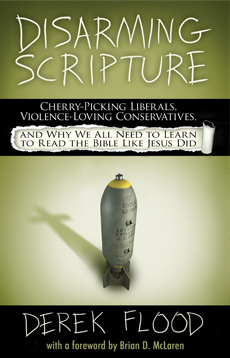 I've ordered it and will look forward to reading it while on vacation next week! Thanks for your blogs and articles which have shaped my understanding of the atonement, and have laid a theological framework of relationship from which I'm doing my PhD work in conflict resolution on restorative justice. You've inspired my direction at this stage in life, and I'm sure I'll find much more similar fodder for my trust in Father's love through Jesus in the Spirit as I read your book! That sounds like a great direction for your studies. Howard Zehr was a big influence on my understanding of justice. You cannot imagine how excited I am your book is finally out. I spent six years as an atheist agnostic after becoming utterly disgusted by the portrayal of God by fundamentalists who follow the law of lex talionis instead of the Gospel of Christ. Through the help of many a good Christians, I have found my way back to Christ, as a progressive Roman Catholic. Your Penal Substitution versus Christus Victor was instrumental in restoring my faith in God and Christ. So for that, I thank you. I have been WAITING for this!!!! Wonderful news - & I can't wait to read it!!!! That's a beautiful story, thanks so much for sharing it. Keep holding on to grace! Kerry & Penny I look forward to hearing what you think of the book! Hi Derek, thats great. Congratulations. I'm dying to read how this book extends your posted article here. As you know I very much like this work. Have you plans for a german translation? Wow that's a long time to wait, thanks for your patience my friend! If you want to email me, I can see if we can maybe get it to you a bit faster. I don't currently have plans for a German translation, but that would be awesome! P.S. I just saw that the book is now available on Kindle! Just got it for my Kindle. Can't wait to dig in. Derek, I got the book in right before Hurricane Isaac hit. Since I was without power, it gave me lots of time to jump in and read the book. I went through it very quickly and am now about to start it for a second time. All I can say right now is THANK YOU. Thank you for writing this. I'm getting ready to give a message on the John 8 Woman caught in adultery at my Vineyard church, and the book as inspired so many things I want to share with my faith community. Derek, I heard about this book via Kurt Willem's blog and would like to read your book - any idea when a paper copy will be available in the UK? The book should be on Amazon.uk soon. In the meantime, there are options for international shipping: in the post above under the first update there is a link to Windows Books on Amazon. You can use that to get international shipping. You can also order internationally from the publisher's website (link above too) and even get a 20% discount.